While UNIS Hanoi is considered to ba a safe and vibrant city, it is however always important to be prepared in case of an emergency. 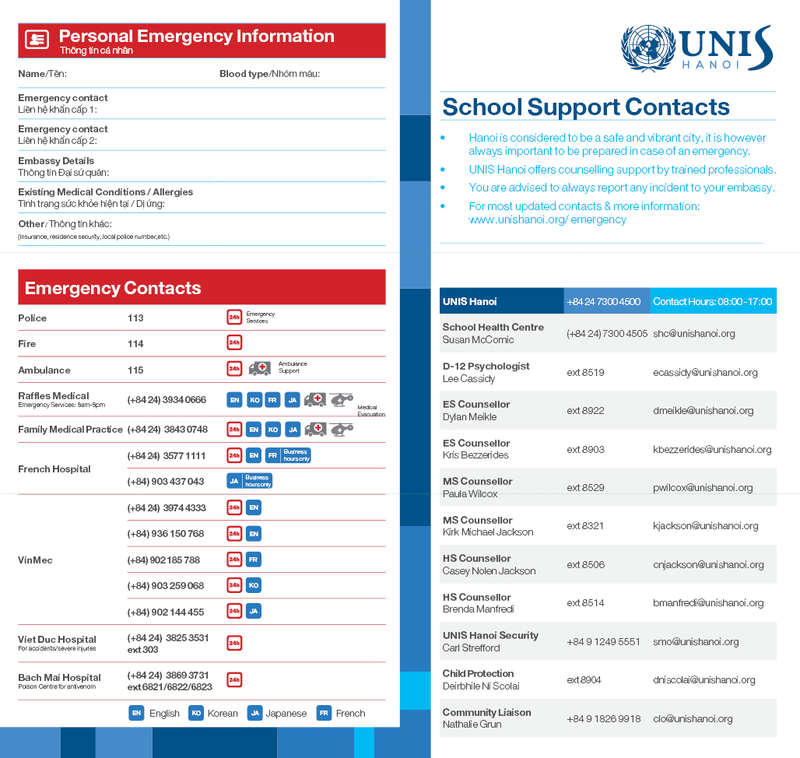 We have distributed Emergency Cards to our community members upon enrollment at the school. Digital copies are available on the School Health Centre website. Hard copies are available for pickup in the School Health Centre. 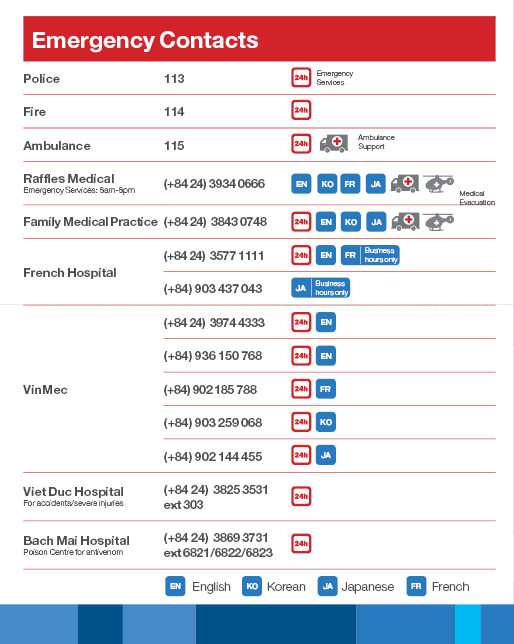 The Emergency Cards are designed for each family member to complete the personal emergency information and keep the card easily accessible (ie. keep a copy on your motorbike or in your child’s bag). It is also advisable to programme the contacts in your phone to enhance preparedness in case of an emergency.